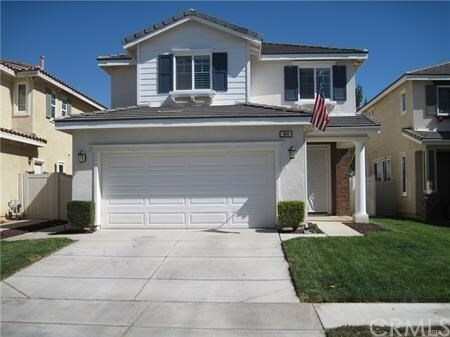 Spacious Home located in Beautiful Beaumont minutes from the 10 freeway. This home offers over 2100 square feet of living space. Downstairs greets you with an open floor plan including kitchen with island and granite counter tops, white cabinets, dishwasher, gas range and microwave. Fireplace in living/family room. The upstairs Master Suite is extra large with a soaking tub in the Master Bath, which includes a walk-in closet. Open loft area and upstairs laundry room with a full bathroom in the hall. All painted with modern neutral palette colors. Plenty of natural light warming up this home. Carpet and tile through-out. Drive -way and a 2-car garage.